Two New Nickelodeon Apps | PAW Patrol and Teenage Mutant Ninja Turtles! Nickelodeon is taking action-packed adventure to a whole new level with the global launch of its new PAW Patrol Pups Take Flight app. 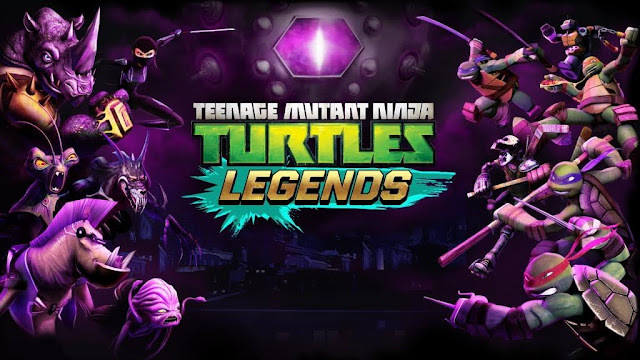 The kids and family entertainment brand has also teamed up with video game company Ludia to bring the all-new Teenage Mutant Ninja Turtles: Legends app to fans worldwide (except in Japan and China). Fans can now download both apps from the Apple App Store and Google Play Store. Teenage Mutant Ninja Turtles: Legends is a fast-paced collectible card-style game where players can collect over 30 character and enemy cards from the Nickelodeon TV series, and the Paramount Pictures and Nickelodeon Movies Teenage Mutant Ninja Turtles: Out of the Shadows universe to unleash new moves, explore different environments, and play as new characters in order to defeat The Kraang and save Earth. Teenage Mutant Ninja Turtles: Legends has endless gameplay, with updates continuously being added. The app can be downloaded for free from the Apple App Store and the Google Play Store. • ORIGINAL NINJAS: Explore the Nickelodeon Teenage Mutant Ninja Turtles universe with an all new original story. Battle your way through seven chapters and over 70 stages to take on the baddest of bosses – Shredder, The Kraang and more! • RESPECT THE SHELL: For a limited time, play and experience an all new chapter based on the Teenage Mutant Ninja Turtles: Out of the Shadows film. When their recon mission goes awry, the Turtles must take on the Foot Clan and bad boys Bebop and Rocksteady. • TURTLE POWER: Help Leonardo as he takes on The Kraang army to save his brothers and fellow mutants. Play alongside Leonardo in a 5 on 5 battle with your favourite Teenage Mutant Ninja Turtles characters. • MUTANT MAYHEM: Collect and level up over 30 Teenage Mutant Ninja Turtles characters! Train them to learn their super sweet moves and build your Turtle-rrific team. Don’t forget to pack your freezer for Ice Cream Kitty. • SHRED ALERT: For the very first time, fight The Kraang as a Ninja Turtle friend... or FOE! Collect and play as Tiger Claw, Rocksteady, Bebop, and more. Create strategic teams and take on The Kraang. • FOOD FIGHT: Collect daily prizes and card packs to enhance your team! • WE RUN THIS TOWN: Fight against The Kraang in the Ninja Turtles’ favorite locations from the TV show, including Dimension X, the sewers and the classic New York City rooftops. For more information, visit www.facebook.com/TMNTLegends. Teenage Mutant Ninja Turtles airs on Nickelodeon on weekdays at 2.55pm (MY) and on weekends at 5.45pm (MY). In the PAW Patrol Pups Take Flight app, based on the television series, preschoolers around the world can now go on all-new aerial adventures with their favourite PAW Patrol pups. 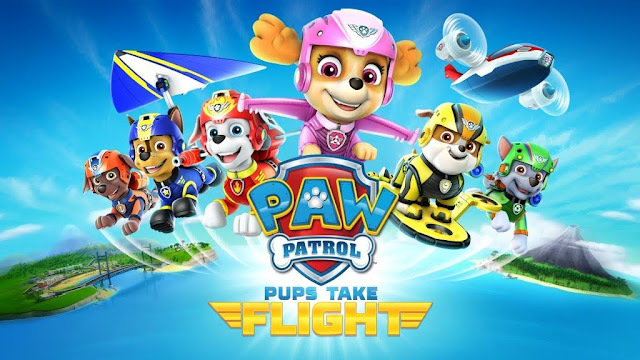 PAW Patrol Pups Take Flight is a curriculum-driven preschool app (which was launched in the U.S. and Australia in March 2016) that helps prepare preschoolers for kindergarten by fostering important math skills through shape recognition, number recognition and counting/enumeration. PAW Patrol Pups Take Flight is the third PAW Patrol app, following the popular PAW Patrol Pups to the Rescue, featured as one of the Best New Apps on the App Store homepage, and PAW Patrol Rescue Run, ranked #1 in Kids and Education category. Users and their pups - Chase, Marshall, Skye, Rubble, Rocky and Zuma - will take to the skies in the brand new Air Patroller vehicle to earn treats and badges, while avoiding obstacles and locating special objects. The app features three exciting locations: Snowy Mountain, The Rocky Canyon and Volcano Island. It is available in English, Russian, German, Dutch, French, Italian, Portuguese and Spanish. The app can be downloaded from the Apple App Store(S$4.48) and Google Play Store (S$5.49). PAW Patrol is a hit CG-animated series starring a pack of heroic rescue pups – Chase, Marshall, Rocky, Rubble, Zuma and Skye – who are led by a tech-savvy 10-year-old boy named Ryder. Together they work hard to show the people of Adventure Bay that “no job is too big, no pup is too small!” In partnership with Spin Master Entertainment, the series features a curriculum that focuses on citizenship, social skills and problem-solving. The show airs on Nickelodeon on 10am (MY). PAW Patrol also airs on Nick Jr on weekdays at and 8.10am, 11am and 1.30pm (HK/MY/PH/SG) and on weekends at 8.10am, 11am and 2.40pm (HK/MY/PH/SG). Paw patrol tu comel betul!